Although the MP from Markham-Stouffville is still serving her first term as a federal MP, Jane Philpott was still one of Prime Minister Justin Trudeau's most trusted lieutenants and a key player at the cabinet table — until she quit. 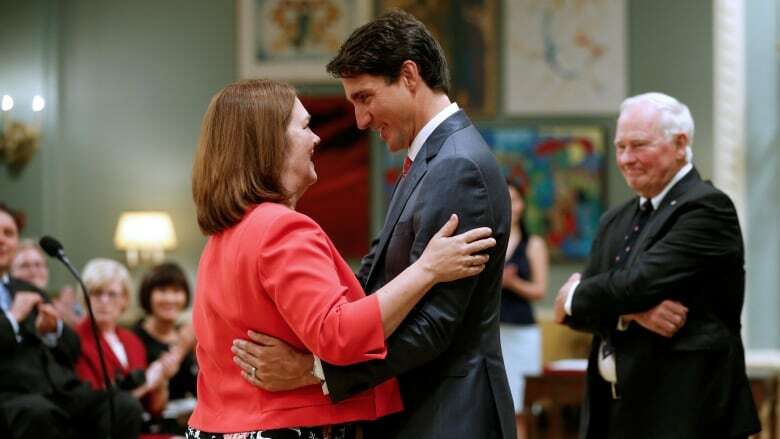 Although the MP from Markham-Stouffville is still serving her first term as a federal MP, Jane Philpott was one of Prime Minister Justin Trudeau's most trusted lieutenants and a key player at the cabinet table — until she quit. Philpott's resignation from cabinet today over the SNC-Lavalin affair shocked an official Ottawa still reeling from the resignation of her personal friend and former colleague Jody Wilson-Raybould — and from Wilson-Raybould's damning allegations of political interference in her work as justice minister over the SNC-Lavalin file. A medical doctor by profession, Philpott was first appointed by Trudeau as minister of health, tasked with tackling the challenging assisted dying file with then-justice minister Wilson-Raybould. Working together on that file, the two senior ministers formed a professional and personal friendship that has lasted to this day. When Wilson-Raybould resigned from cabinet, Philpott made a public statement of support for her. Today Wilson-Raybould returned the support. In a tweet, Wilson-Raybould referred to her friend as #MOC — "mother of country" — and described her as a "leader of vision & strength." While minister of health, Philpott signed new health accords with all 10 provinces that included dedicated funding for mental health and home care. She also played a role in the legalization of recreational marijuana and kicked off a federal study of drug prices and food labelling before she was moved to the newly-created role of Indigenous services minister in 2017. The ministry was created when Trudeau split Indigenous and Northern Affairs Canada into two separate ministries, some two decades after a royal commission recommended the move. Philpott's job was to oversee programs for status Indians, including welfare, education, child and family services, housing and long term water advisories. The number of water advisories in Indigenous communities dropped significantly during her tenure. The fact that Trudeau gave Philpott a file that had been beset by governance issues and bad relations with Indigenous Canadians speaks to the degree to which the prime minister trusted her to get results. Her reputation as a strong performer in cabinet likely was one of the reasons Philpott was asked to take over as president of the Treasury Board when Kings-Hants MP Scott Brison stepped down from the post and retired from federal politics earlier this year. The new job required Philpott to ensure that key government programs were funded properly as Trudeau's government prepared for a fall election. Brison's resignation prompted Trudeau to reshuffle his cabinet on Jan. 14, which gave him an opening to drop Wilson-Raybould out of the justice and attorney general role and into Veterans Affairs. Weeks later, the Globe and Mail reported that Wilson-Raybould was under pressure from Trudeau's people to intervene in the SNC-Lavalin case to allow the company to avoid criminal prosecution on bribery charges. On Feb. 12, she resigned from cabinet.